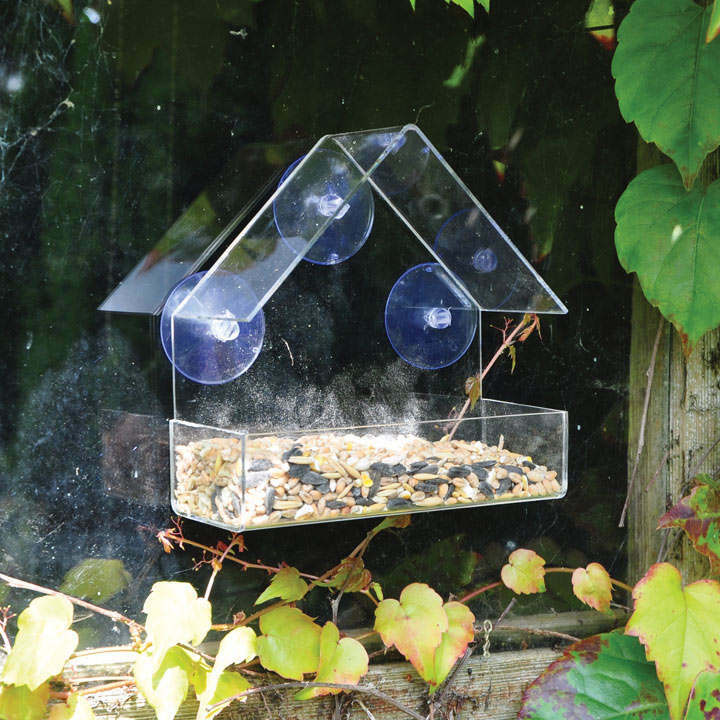 Window bird feeder. The clear plastic feeder is complete with feed tray and three suction discs to secure to the outside of window glass. Size H15xW15xD6.5cm. 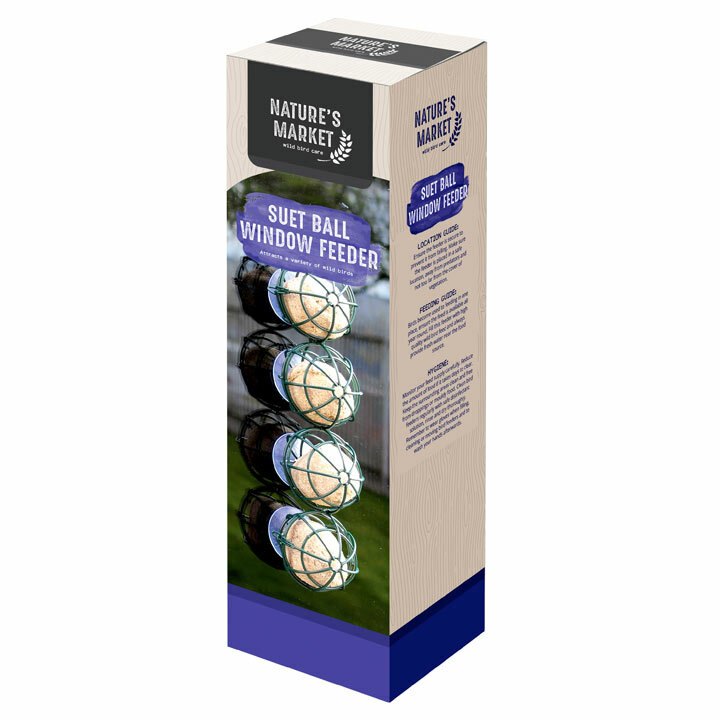 Suet Ball Window Feeder. Fits four Suet balls (not included). Includes plungers to stick feeder to a window, also includes chain for the option to hang in other parts of the garden.